Christine DiMattei talks about the damage being done to Florida's movie biz with Michelle Hillery, president of Film Florida. What's wrong with this picture? Parts of 'Dirty Grandpa,' starring Robert DeNiro and Aubrey Plaza, were set in Daytona Beach but shot in Savannah, Georgia. Part of the problem is that the state's incentive program for film and television is tapped out. 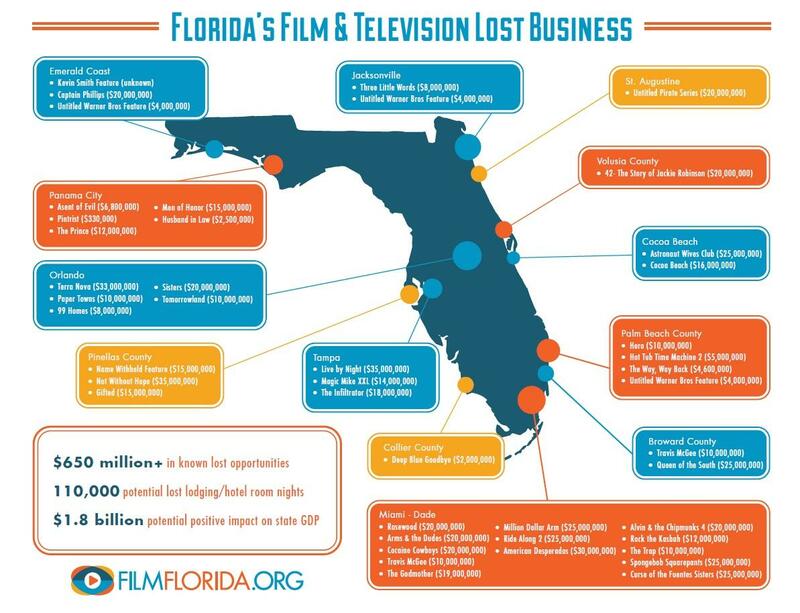 In 2010, the Florida Legislature set aside nearly $300 million in tax credits for film, TV and video production to be awarded only after production had wrapped. It was supposed to last for five years, but about 312 projects (some of them blockbusters like "Ironman 3") stepped up for a piece and the fund ran out of money quickly. Although those 312 film and TV productions added nearly $4.1 billion to Florida’s gross state product, attractive tax incentives from other states are increasingly driving production out of Florida. The fact that film versions of stories set in Florida are being shot everywhere but in the Sunshine State has outraged many in the state's film industry. Perhaps the most galling loss to Florida film advocates was "The Unknowns -- Talent Is Colorblind" now shooting in Georgia. The movie tells the story of Florida's Highwaymen, a group of black painters who sold their own landscape paintings along highways during a time when Jim Crow laws forbade African-Americans from exhibiting at galleries. "This should have been done here in Florida. This is where all of that took place," says Michelle Hillery, Palm Beach County deputy film commissioner and president of Film Florida, a nonprofit entertainment production association. Two Republican state senators, Nancy Detert of Venice and Jack Latvala of Clearwater, are seeking to include a film and TV incentive reform package in the Senate's economic development bill. The package would replace the old program, which sunsets on July 1..
And what does Florida stand to lose if legislative action isn't taken soon? Hillery says film and TV projects that decided to shoot outside of Florida have cost the state more than $650 million in lost revenue. "Our legislators will be sending a very clear message to our state that it doesn't care about these types of jobs," she says. In the 1960 comedy “Where the Boys Are,” four female college students from the Midwest head to Fort Lauderdale for spring break. Recognizable scenes, including one in the Elbo Room on Las Olas Boulevard, made Fort Lauderdale a spring break destination. 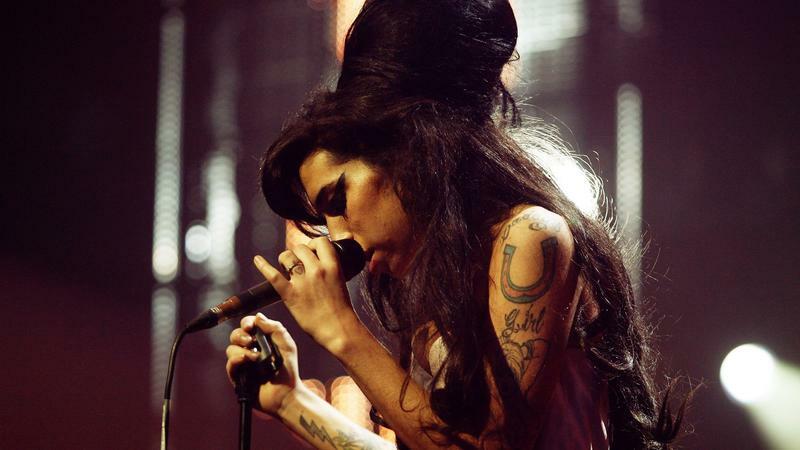 When Amy Winehouse, the British musician who sang memorably about her refusal to go to rehab, died due to problems related to drugs, alcohol and bulimia in July 2011, she was nearly as famous for her personal struggles as she was for her music. Just 27, Winehouse had been tabloid fodder for years. There were no steadicams in 1964, no lightweight cameras or drone-cams. Perhaps that's why film lovers watching “Soy Cuba” for the first time get understandably excited by what has become known as the “hotel shot.” At the start of the film, a camera pans across the upper decks of a Havana hotel during a beauty contest, then descends straight down to the pool level as if held by ghostly hands. The camera pans across bathing beauties basking in lounge chairs, then actually goes underwater in the hotel pool.